Home wood fired ovens – a bit of market research. Home wood fired ovens seem to come in two main types. The first is the ‘adobe’ style oven, usually with a dome shape and no door, and this type is very popular. You can buy them in kit form, or have them made up for you. Great for pizza, not great for bread, but with a bit of juggling you can make do with these. The second type is an enclosed oven, which is suitable for both pizza and bread. These come in a wide range of shapes and sizes, and have various added extras, like the ability to fill the chamber with smoke and evacuate it. They often have stone or firebrick tiled floors. Note: Warwicks description above could well be about the Wildcat 6000! Of my initial research, many ovens are cheaply built, (particularly some of the imported ones) and have stress points which are not properly reinforced. Over time, cheap ovens display why they are cheap. 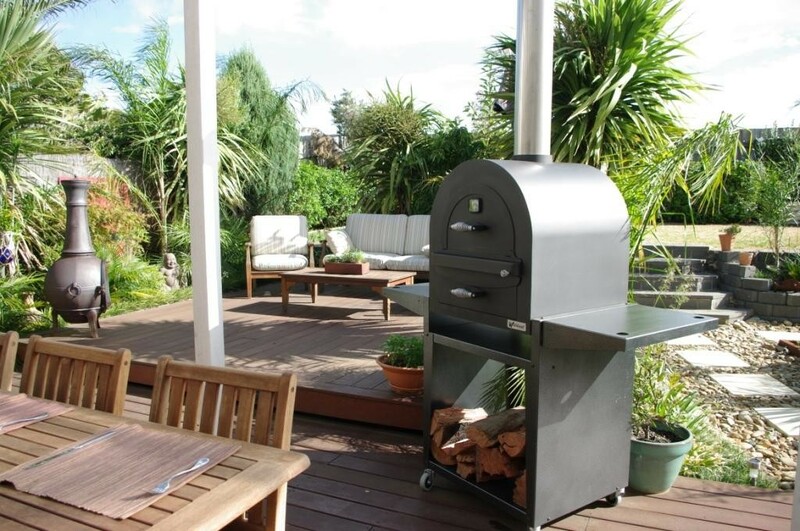 Note: Wildcat Ovens are designed and made in Australia using pressed and welded construction. Heavy duty and made to last. Many adobe and brick ovens leak air like sieves, and are really not useful to the home baker. Many have too little insulation – and while you don’t need a lot for the backyard roast, some are less than a centimeter thick. This will be very unstable and use lots of wood. A well insulated (an inch or more thick) oven will use less wood. On the other hand, there are some quality products out there. Note: The Wildcat 5000 and 6000 Ovens use Ceramic wool insulation more than 50mm thick! All in all a great rap for the Wildcat Pizza oven range!